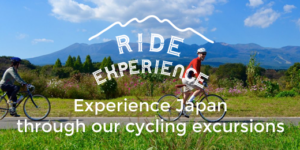 The aim of Cyclist Welcome.jp is to create a more attractive and secure accommodation environment for cyclists and at the same time to disseminate the charm of cycling the area to the whole country and the world, It is to create a mechanism to bring out the effect. At Cyclist Welcome.jp, we welcome inquiries from lodging facilities, community promotion related organizations, cycling related organizations, etc. that you agree with the purpose of this site. Also we will cooperate as much as possible to requests for press postings and event appearances etc. Please do not hesitate to contact us from the following form or e-mail address.